We flew from Vancouver to Rome. Caught the train from Fiumicino Airport to Termi in Rome, and then the Frecciarossa high speed train from Rome to Naples. It travels at speeds up to 300 km/hour and makes the trip in one hour and eight minutes. Not bad. Vancouver to Toronto went fine, in Toronto we had to wait for a replacement plane, which meant we were late getting to Rome, which of course means all those internet tickets purchased are of no value. The best deals you find on train travel, are good, but they are non-refundable. Jet-lag aside, we get new tickets, make on high speed train and contact the driver we had hired to take us from Naples to Amalfi. Arriving at the Hotel Villa San Michele, for us, is like arriving home. We have stayed here so many years we know the owners and staff all very well. A bottle of wine was in our Rome, and in not time, we were at home. 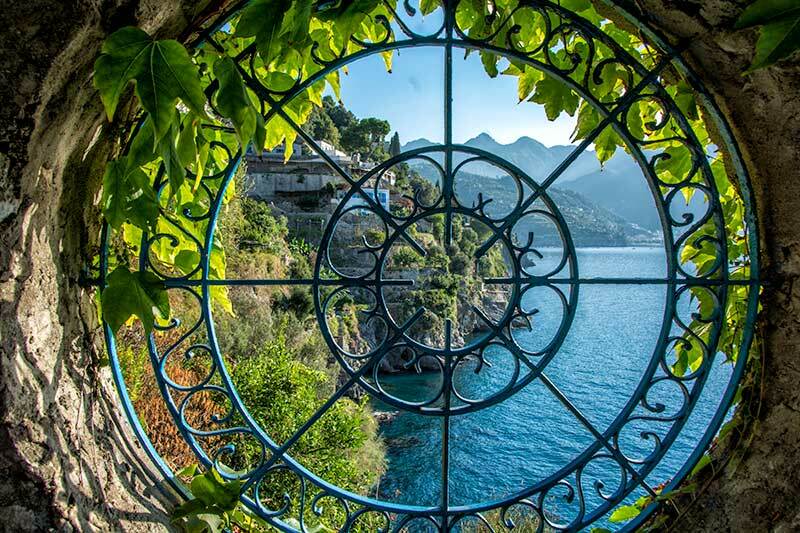 The Amalfi Coast is stunning. Steep rocking cliffs join the sea. 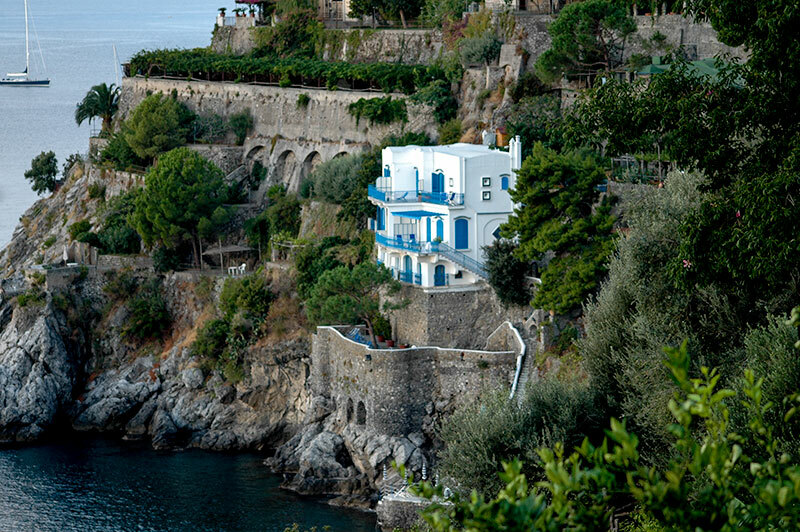 The Hotel Villa San Michele hangs from the cliff. The entire hotel is located well below the roadway level. Lots and lots of stairs. 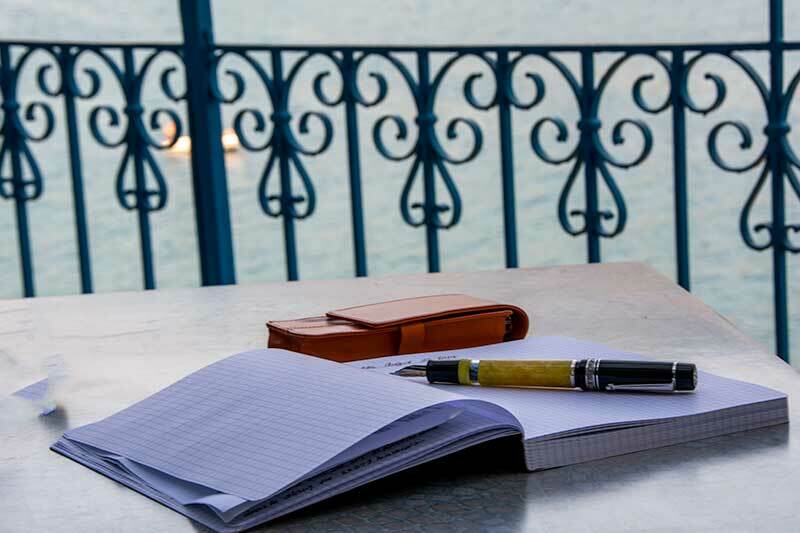 Lots of time to enjoy life in Amalfi and update my Travel Journal. The stunning yellow pen is by Delta, the Sole. 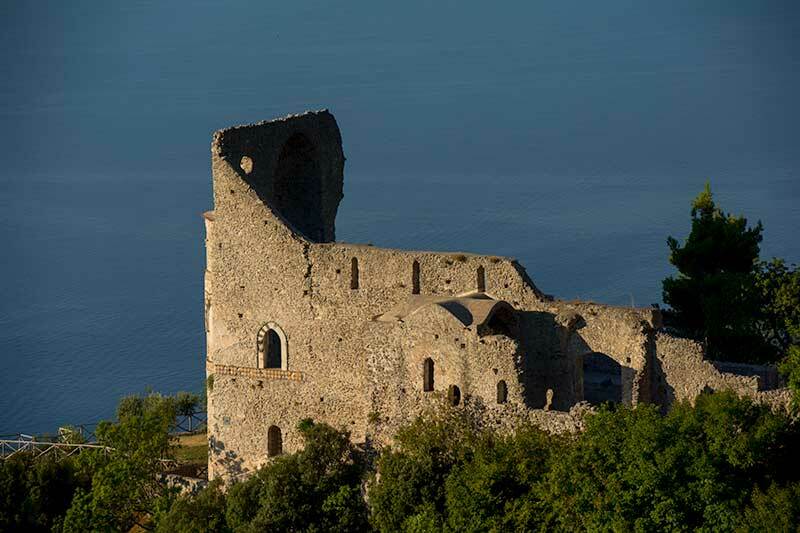 This year Glenn took a bus up to Scala, the old town opposite Ravello. 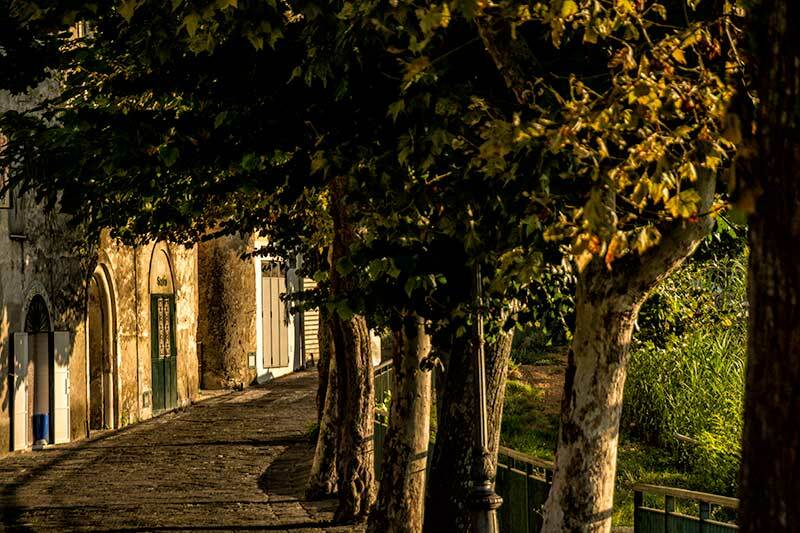 It is very pleasant as it does not have the tourists you find in Ravello. 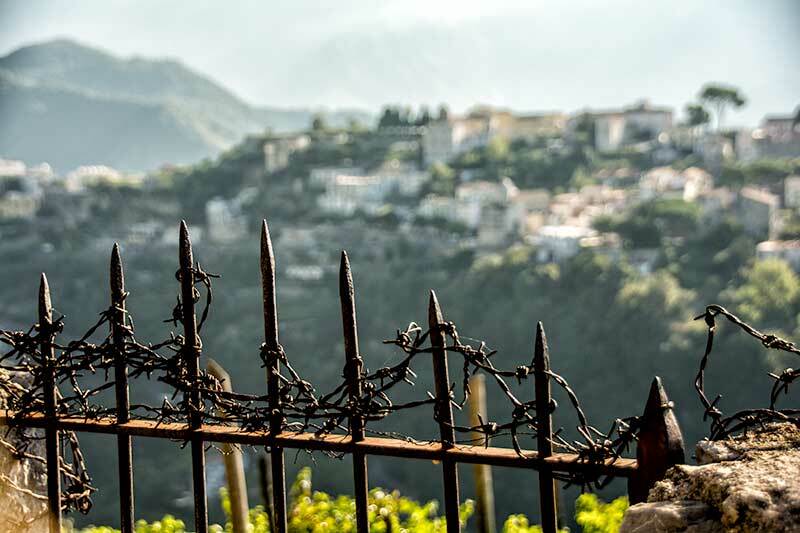 Great views from Scala towards Ravello on the opposite side of the valley. It was about a 20 to 30 minute walk from Scala to Minuta to see the remains of the Basilica of Sant'Eustachio. After all the effort, it was way to early in the morning (but I did not want the harsh day sun). But in the end, the best views were those from a frar. 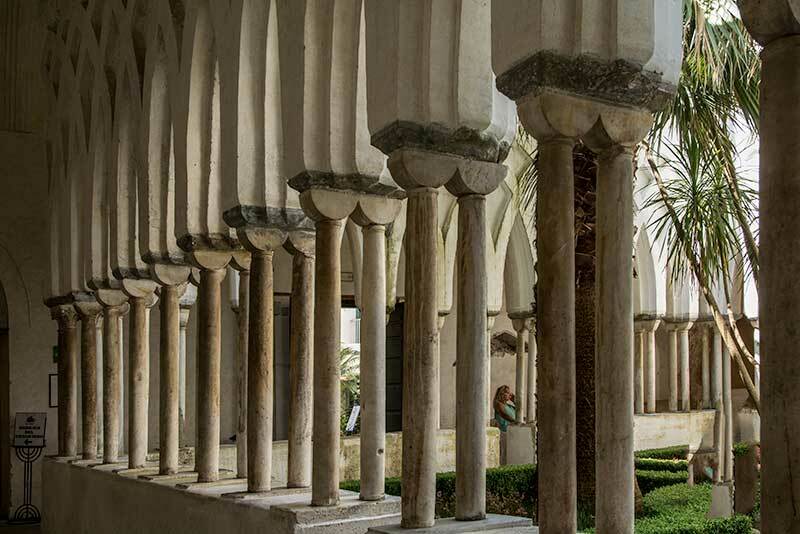 Time again to visit the cloisters in Amalfi. 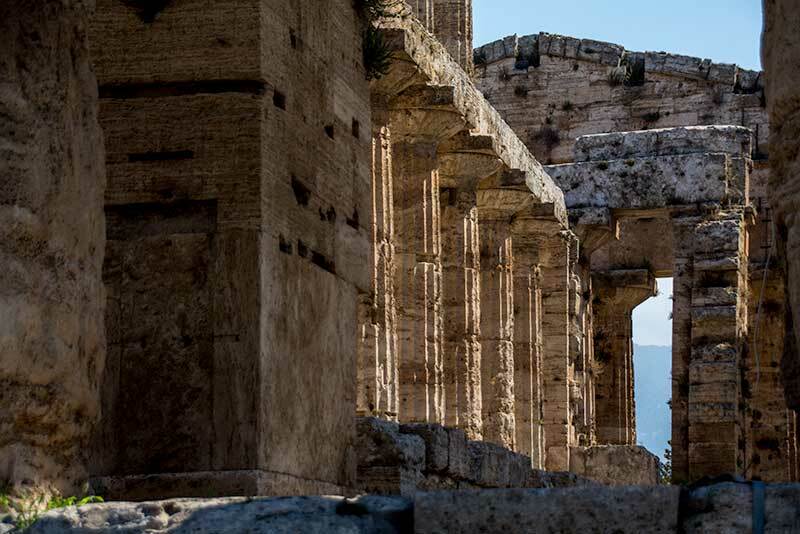 A day trip to Paestum. I took the bus to Salerno, then the train to Paestum. On the way back I took the train to Salerno and then a boat to Amalfi. 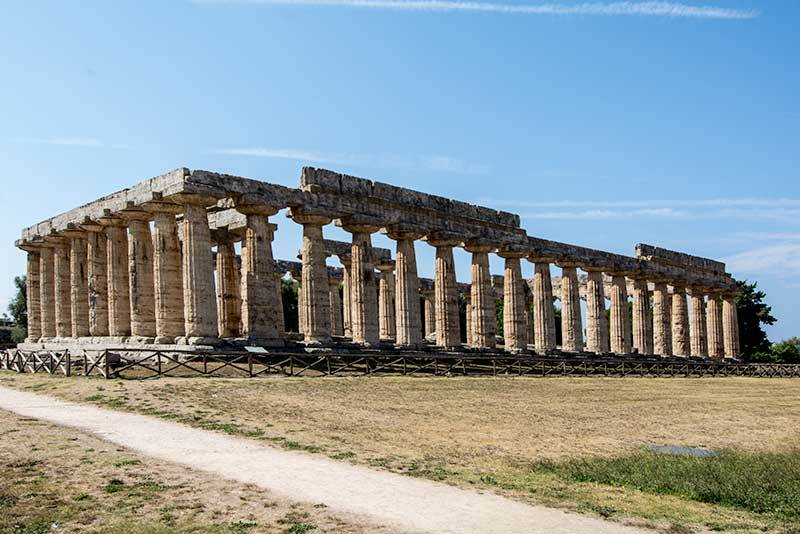 Paestum is a major ancient Greek city. There are three Greek temples in a very good sate. More tourists this year than when we were there a few years ago, but still a very pleasant experience. 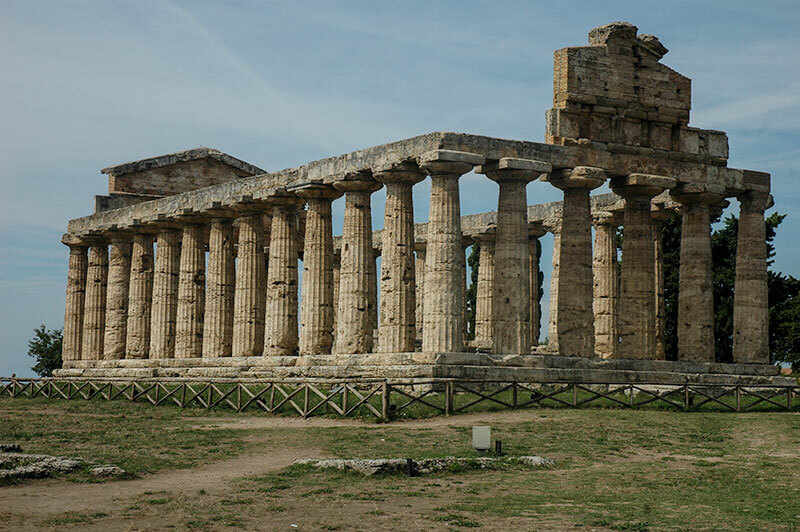 Temples of Paestum, very impressive. 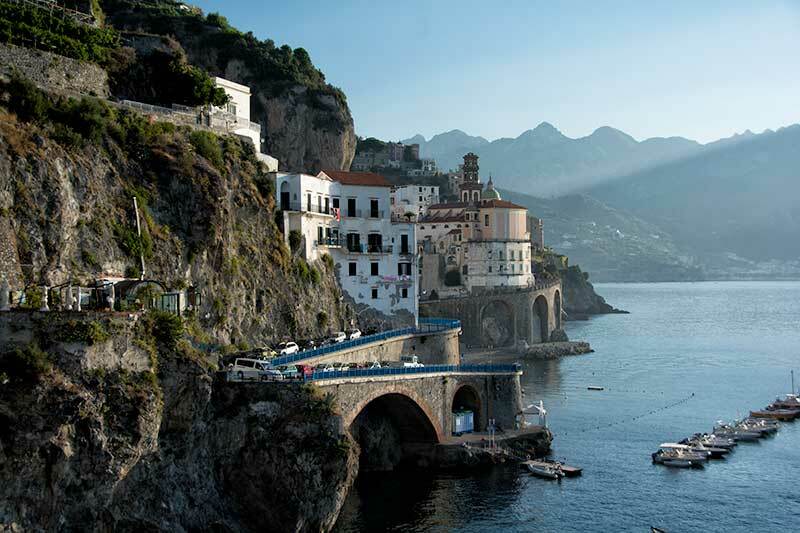 We left Amalfi and travelled to Naples. Glenn had another visit with the folks at Delta Pen. We had last visted the company 2012. The Vancouver Pen Club is planning to have Delta produce an exclusive pen for the club. We had our driver drop us off at the factory. They showed up some of their initiatives, we met with the Owners of the company. Then we went for lunch with Salvatore and Francesca at a restaurant in Naples. Great day, great people. A short walk about the town in the evening, and then the next day we would leave for Rome. Wwe had been to Naples before so there was no pressure to visit specific sights. 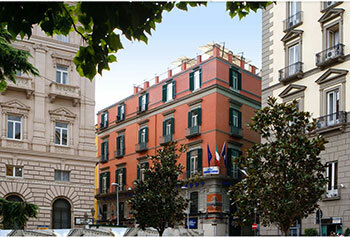 We stayed again at La Ciliegina Hotel. Beautiful hotel with a great location and in our Great Places to Stay list. But it seemed that every building I wanted to photograph was behind scaffoling. There was a lot of reconstruction work going on.